SAN DIEGO, California -- The head of the company behind "Pokemon Go" says more capabilities for the wildly popular smartphone game are coming, including the ability to trade Pokemon. During an appearance at a San Diego Comic-Con event Sunday, Niantic Labs CEO John Hanke said the update to add trading is "at the top of our priority list," but no release date has been set. Hanke also says future versions of the game could include customizable PokeStops and the addition of other Pokemon characters. He calls "Pokemon Go" a game "we expect to run for years" and adds "we're going to continue to invest in that way." 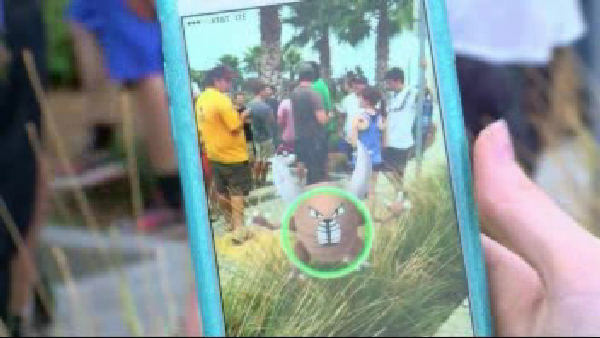 The augmented reality game allows users to hunt Pokemon on their smartphones in real world locations.